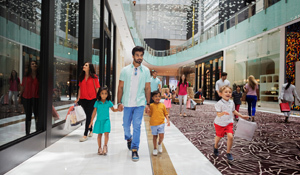 Win a voucher from VISA to spend in malls across Dubai during Dubai Summer Surprises! It’s now in full swing until August 4 and we’re giving four lucky MASALA winners the chance to win a Dhs 500 shopping voucher each to spend at ANY mall in Dubai. The 21st edition of the annual summer event is featuring an incredible line-up of spectacular sales, retail experiences, unmissable chances to win and performances to keep the whole family entertained this summer. Visit http://dubaisummersurprises.ae for more information. Winner must claim their prize before Sunday 22nd July 2018.